Almost 60% of all hard drives have incorrectly magnetized disk surfaces. HDD Regenerator has found an algorithm which is a special sequence of high and low level signals. These signals are generated by the software and they switch damaged surfaces. Even low level formatting is not able to handle this task! HDD Regenerator regenerates bad sectors by magnetic reversal. If your hard drive is damaged by bad sectors, the disk not only becomes unfit for use, but also you risk losing information stored on the disk. 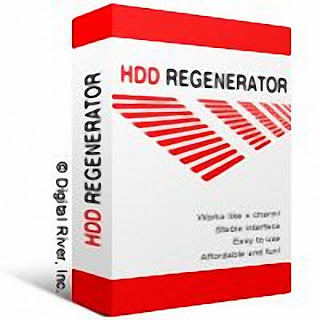 HDD Regenerator will regenerate your hard disk. As a result, unreadable damaged information will be restored. With all this going on the existing information is not affected or lost. Anyone tried HDD Regenerator 2011 yet? I'm curious if it really works as it claims.